My only published contemporary has had a face lift. 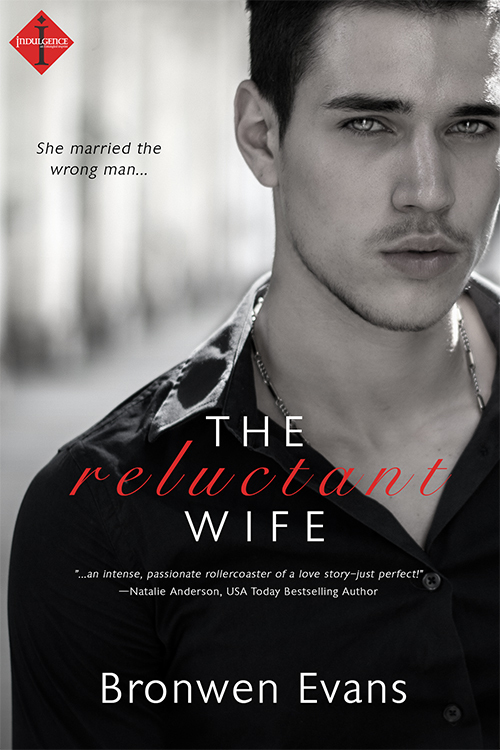 THE RELUCTANT WIFE, winner of the RomCon Best Short Contemporary/Series 2013 got a new look from my publisher, Entangled. I do love the cover but the eyes remind me of a paranormal story and this is definitely not paranormal in any shape or form. What do you think? He does look Italian and he is hot…..
Evans’ offering is an entertaining one. Her main characters are a wonderful match, from their stubborn natures and their inability to communicate with each other, to the chemistry that ignites between them. The author pairs this with magical scenery that will have readers yearning to be in Italy with Abby and Dante.